Rich, Mel and Jean are all graduates of Olathe High School. They grew up in Pea Green, Colorado and are children of Tom and Isabelle Smith. 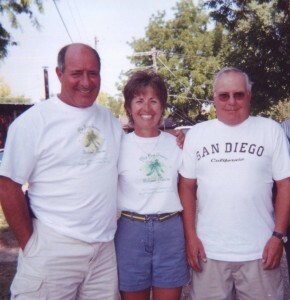 Rich, Mel and Jean all left the family farm to attend Fort Lewis College in Durango, Colorado. After graduation from Fort Lewis, they went on to receive their Master’s degree from Adams State. Rich graduated from Olathe High School, attended and graduated from Fort Lewis College in Durango, Colorado with a BA in Social Studies and Business Administration, and a minor in Physical Education. Rich received his Master of Arts from Adams State College and went on to become a teacher and administrator in Colorado Springs, Colorado and Tucson, Arizona. Rich began his career in at Sproul Junior High in the Widefield School District. He went on to teach at Widefield High School, and Fountain/Fort Carson High School. He was the Defensive coordinator for football in Widefield before becoming head football coach at Fountain/Fort Carson, a position he held for 13 years. Rich moved into school administration as an Assistant Principal at Carson Middle School in Colorado Springs, Colorado. Rich then moved to Tucson, Arizona, where he served as Associate Principal at Mountain View High School. After returning to Colorado Springs, Rich served again as Assistant Principal at Horizon Middle School until he became a Principal at Horizon Middle School. After being a principal at Horizon Middle School, Rich moved into the district administration office and served as the Director of Auxiliary Services in the Falcon School District. Rich oversaw the construction of Sand Creek High School, Falcon High School, Whittier Elementary and Lorraine Elementary. Rich then opened Sand Creek High School where he served as its Principal. Rich retired from the Falcon School district. He served 30 years in public education. He and wife Karen now live in Denver Colorado where he continues his career as a supervisor of student teachers and also serves as an affiliate professor at Regis University. He and his wife Karen live in Denver. Colorado. Rich has three sons, Chris, Josh, and Jerod and a stepdaughter, Kelsey. Mel Smith also graduated from Olathe High School in 1964. He attended Fort Lewis College in Durango, Colorado where he graduated in 1969 with a BA in Social Studies. Mel was a four year letter winner in Wrestling at Fort Lewis, qualified for the NAIA national tournament for two years and was inducted into the Fort Lewis wrestling “Hall of Fame”. Mel started his career in Ridgway in 1969, served in the Army National Guard on active duty for one year, spent one year at Palmer HS, farmed with his family one year, and went to Adams State College to pursue and receive his Master’s degree in Physical education. While at Adams State, Mel was an assistant Wrestling Coach for the highly rated Adams State wrestling team. Mel then went to Florence High School where he taught upper level American Government and served as the Athletic Director. During his tenure at Florence, Mel coached Football, Wrestling and Track. While Mel was Athletic Director, Florence High School won three state football championships and had their first state wrestling champion in Ryan Corn, who is now a Social Studies teacher and head football coach at Olathe High School. 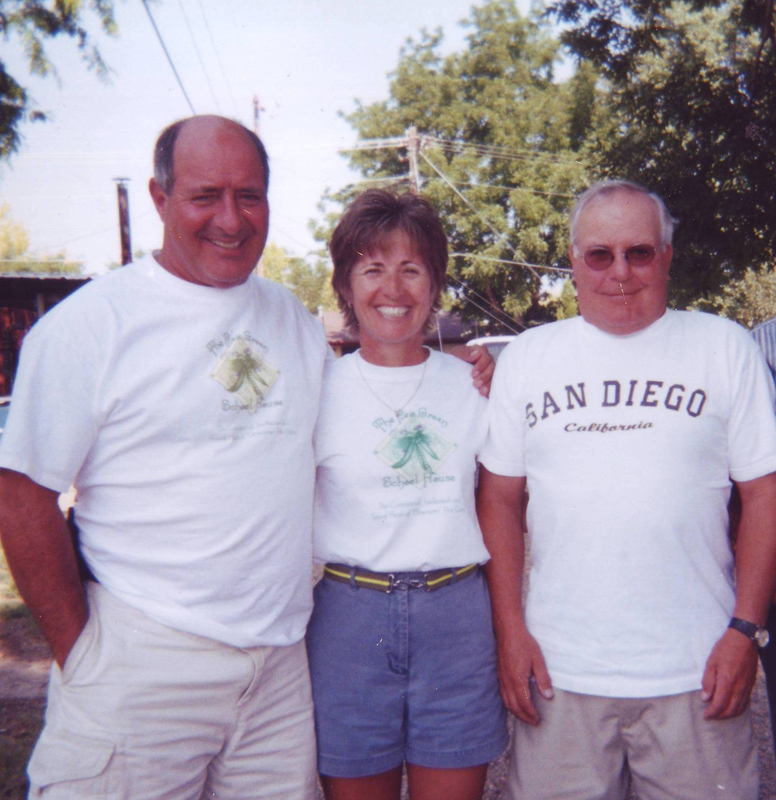 Mel served on the Colorado State Wrestling committee for 20 years and he and Rich volunteered to work at the state wrestling tournament for 20 years, administering the weigh-ins for the wrestlers. Mel was proud to be a teacher. Mel was proud to be from Pea Green, Colorado and he always made sure his students knew where Pea Green was. It was the first question on many of his tests. Mel served 21 years in the National Guard and was very proud of his service to his country. Mel retired from public education after 30 years of service and he and his wife Linda lived in Florence until he passed away as a result of cancer in 2010. Mel had two sons, Erik and Ray and two stepchildren, Mike and Melissa. Jean Smith Thweatt graduated from Olathe High School in 1970, and graduated from Fort Lewis College in Durango. She received her Master’s degree from Adams State College in Alamosa in Special Education. She received her Principal endorsement from Northern Arizona University in 1985. She began her teaching career in Durango, and moved through the ranks, from teacher to Principal. Jean was a grade 2 teacher from 1975 thru 1977, Special Education teacher from 1978 until 1986. Jean began her administrative career in 1986 as an Assistant Principal at Needham Elementary in Durango. Jean became Principal at Park Elementary in Durango in 1987, Principal back at Needham Elementary in 1988 and 1989 in Durango and then at Principal at Riverview Elementary in Durango from 1989 until 2007. Jean was a recipient of Colorado’s John Erwin Award of Excellence, at Riverview Elementary School in Durango in 2004, 2005, 2006, 2007. She was named the CAHPERD Administrator of the year in 1995, and was named a National Distinguished Principal in 1994. Jean also served as President of the Board of Directors, for the Southwest Colorado mental Health Center from 1993 until 2000. Jean is now retired and lives in Durango with her husband Steve. Jean and Steve have one daughter, Laura.